A bit of a departure for this blog, but justified by the circumstances. The Golden Ears Bridge will open next month – ahead of schedule – and put an end to the last ferry to cross the Fraser in the lower mainland. The course of my travels in the region had not previously given me a reason to use it, but I did that today simply because it will soon no longer be possible. The wikipedia entry is disappointingly brief – hopefully it will get extended soon. There is a useful board (erected on the occassion of the 50th anniversary of the ferry) in the line up area on the north side. 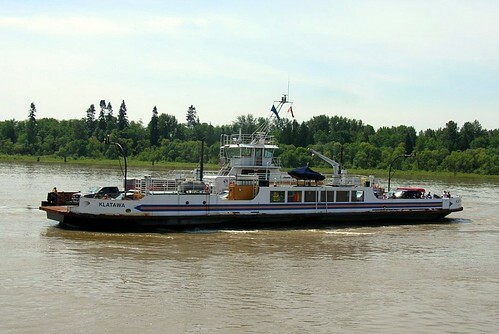 From that I learned that it opened in 1957, the Klatawa was introduced in 1978 and the sister vessel Kulleet in 1985. In 2006 the ferry service carried 4m people and 1.5 m vehicles. Since its introduction it has covered a distance more than 20 trips to the moon and back. The crossing is brief – unlike the usual waits on either side – and the accommodation for passengers spartan.Which makes the ban on dogs in the “lounge” a little hard to understand. On the Maple Ridge side there is a restaurant next door to the ferry, with a nice patio and view of the operation. However, I did not have time to try their hospitality as I only had about 30 minutes to wait in line. Even so, that meant the capacity of the waiting area for vehicles was already exceeded and cars were lined up on the road. Apart from two washrooms, and a shelter for foot passengers to wait in, there are few facilities for the public at the ferry terminal. I would have thought a lunch truck would do reasonable business – or perhaps even a couple of vending machines, but then this kind of service has not been Translink’s strong suit – not was it of its predecessor (the MoT). On the south side there is even less space as that is adjacent to the MacMillan Island Reserve: there is simply a landing and an inadequate parking area. No bus service can get to the ferry on this side, as there is nowhere for it to turn around. HandyDART does not cross on the ferry but drops off its passengers who are then picked up (eventually) on the other side. While there was a local campaign to try and keep some sort of ferry running it was doomed to failure. 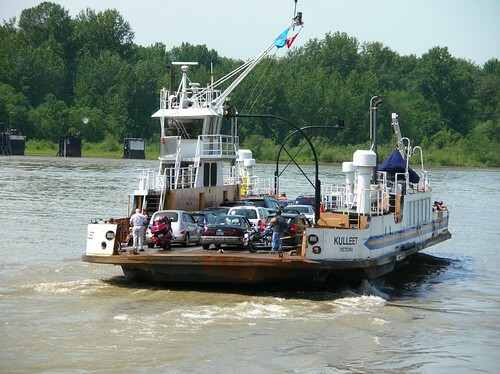 No-one seems to have considered how the ferry could itself have been an attraction – perhaps building on the drawing power of Fort Langley (just down the road) – to extend the visitor experience to incorporate north shore destinations such as Golden Ears Provincial Park or Stave Lake. Maple Ridge town centre used to be quite unusual in that it did not have many of the major chain retailers. This could have been quite a selling point – somewhere different to everywhere else. That of course will not now be the case as the usual suspects are now lining up for new highway oriented developments – the sort of thing that Burnaby managed to produce further downstream at Big Bend. Not exactly “new urbanism”. The ferry is free. Its replacement will not be – and that is indeed one of the main reasons why the new bridge was built. This image was taken before the bridge was finished – and for its first month of operation will also be free. So I expect that I will do another excursion that way to try it out and get some more up to date images. The bridge is further downstream and has extensive road works on either side. The volume of traffic it will carry is of course far in excess of the ferry it replaces. To some extent that will be people who currently sit in the line ups – four and five sailing waits at peak periods are not uncommon – or those who now use the nearest alternatives at Mission or Port Mann. But by the far the greatest impact will the number of new trips that the Golden Ears will now encourage. People who are currently deterred by the long waits or circuitous routing between Surrey and Langley to and from Maple Ridge and Pitt Meadows will use the new crossing. And the surveys done of new and potential users showed that people would be willing to pay a toll to save time. The policy that says tolls can only be applied to new facilities thus spelled the end for the “free” ferry. A P3 (of course) made it look like there was no addition to the debt of Translink or the Province – though of course the liability is significant. I doubt the toll forecasts envisaged what might happen if gas prices reach $1.50 a litre – which they were not long ago and no doubt will be again in due course. By the way, I think I should mention that the new bridge and its approaches costs far more than it needs to. The Federal Government insisted that the air draft of the new bridge (i.e the space underneath the deck for vessels to pass) should be equal to the Port Mann – so that access for shipping be not diminished. That means the approaches are much longer and the bridge higher than it could have been, if they had recognised that only a few tugs and barges operate upstream of the Port Mann. That is the same Federal Government that is supposed to be protecting salmon habitat – and was therefore refusing to allow dredging to allow larger vessels to navigate this part of the river. I say supposed to since recently it has been revealed that not only did they permit dredging further up stream – which not only destroyed many fish and much habitat, it also failed to reduce the flood risk that supposedly justified it. In any event I will be very surprised indeed if any vessel that passes underneath the new bridge gets anywhere near the underside of the deck. The main beneficiaries will be those developers who can – or already have – secured land on the north side of the crossing for development – as commuting from there to the industrial areas south of the river will become much more attractive. Trip generation from these developments will be very significant. Of course, it was never the intention of the LRSP to encourage car commuting from suburb to suburb – though that is exactly what has happened since 1995 – and will now accelerate. When I asked my former colleagues in Strategic Planning in Translink why this project should have climbed so quickly up the priority list the only answer I got was “We have to do something”. Which I never found very satisfactory as an explanation. The real reason was – I think – that engineers like to build mega-projects – especially bridges. It feeds the “edifice complex”. But the results will be exactly the same as the construction of other major highway bridges in other urban areas. Soon after the (tolled) Triborough Bridge opened in the 1930s, New York City experienced the worst traffic jam in its history. The Alex Fraser bridge filled with traffic within months: it will be interesting to see how long it is before the Golden Ears joins the daily litany of the traffic reporters’ tales of woe. Following up on an earlier post Railway Age is now reporting that Tuscon Arizona is also getting streetcars from Oregon Iron Works. Tucson, Ariz. Wednesday became the second U.S. city awardinga contract to United Streetcar LLC, a subsidiary of Clackamas, Ore.-based Oregon Iron Works, Inc.
Tucson’s $26 million order, for seven streetcars, follows an earlier order by Portland, Ore., for six streetcars, which itself followed United Streetcar’s production of a prototype car now being tested in Portland. Cars built by United Streetcar are similar in design to those of Plzen, Czech Republic-based Skoda Transportation a.s., under a technology transfer agreement signed by the two companies in 2006.
a B.C. Supreme Court judge ruled that the Canada Line project acted with cavalier disregard for the impact of its business decisions on the plaintiff. “Cavalier disregard” is actually a hallmark of major projects in BC – and has been for some time. This government, after all, actually set out in its first term to remove all those annoying legal requirements (which had not had really that much impact) like environmental assessments as part of its”deregulation” mission. I hope that this decision becomes the leading case which allows for many others wronged by acts of commission and omission by the Canada Line – and other similar projects – to get some measure of redress. It is not that I want to see transit projects made much more expensive – I just want to see them done properly. If a project is approved on the basis of being in a bored tube it should not be allowed to switch to cut and cover without some due process. Obviously that was a material change with great significance for the community along the route. The idea that no one had to take responsibility for that is obviously untenable. What is frustrating is the the people who cause this kind of thing to happen have been let off the hook instead of being held to account. And I hold those responsible to to be the Government of British Columbia as well as Translink (who had the Line forced upon them but still voted for it) and the private sector partnership. Miro pretty well nails this one with just the simple math that it cannot be justified in cost recovery terms. Let’s suppose 100,000 people would use that $3-billion rail line — a ridership figure far, far in the future. If it was financed at five per cent a year for 30 years, the actual construction cost to the taxpayer would be $5.8 billion. That means about $58,000 per rider. Put another way, those 100,000 riders would have to ride the rails every day, seven days a week, for $5 apiece, for more than 30 years to pay down the investment. And that wouldn’t even begin to pay for the system’s operating costs. Actually it is a great deal worse than that. Firstly because most of the people who would use it, already use transit. So while there is a huge incremental cost there is not nearly as much incremental revenue. They don’t just pay to ride the new subway – they need to use the rest of the system to access it. And, of course, out at UBC many of the users already get an incredible discounted fare deal thanks to U Pass. So the average fare paid per rider is going to me much lower than the system as a whole. Yes there would be some savings – or rather it would free up buses for use elsewhere. But that also frees up more road space on Broadway – just as the Canada Line will take buses off Granville – which will quickly fill up with single occupant cars instead. What is missing – of course – it always is – is any understanding of how this project would affect the transit mode share. That has not changed much since I arrived in Greater Vancouver 12 years ago. And a UBC subway would not shift it very much either. Miro does capture the spirit of this by pointing out the need to use transit to shape growth rather than serve existing demand. And what he says is as true if you substitute most of the megaproject spending in this region that has happened in recent years and is in current plans. 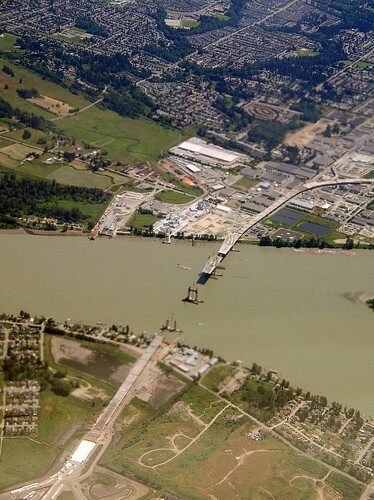 The opening of the Golden Ears Bridge next month does nothing to solve any real transportation problem – it just encourages more sprawl in Maple Meadows – as does the new Pitt River bridges. The Canada Line costs a bundle but has less capacity than many surface LRT lines. The Port Mann and Patullo Bridge replacements will both help to ensure continued car dependency and increase both traffic and emissions. None of this will impact the threepeat Premier who is now even more convinced that he is unassailable and has a mandate to do as he wishes. And it is not that Miro is better at math than the people who work for the MoT. It is that objective assessment of transport project investment does not happen in BC – and never has done. It is not just the Liberals who make this mistake – the NDP were exactly the same. The Millennium Line and fast ferries would never have passed any objective test – but then they did not have to. The Premier of the day wanted them done. Sadly this may well be what happens again this time around. After all he still thinks the Gateway is a Good Idea! It is an idea that is delightfully simple. Indeed I have heard proposals for such a system many times. There is a sign – like a bus stop – where people wait for a ride, but in a car, not a bus. 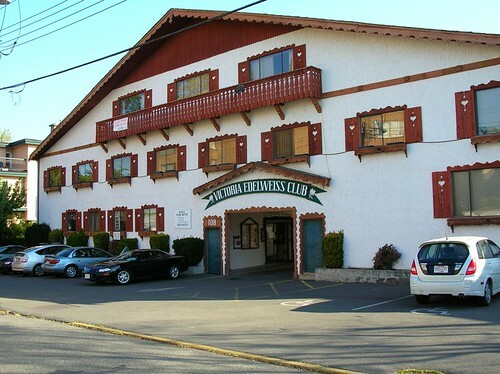 Pender Island is too small for a bus service – and has a very limited range of destinations. So the probability of getting a match for a shared ride is pretty high. Car sharing – on a pre-booked basis for commuters – has, of course been around for years. It has never been as popular here as in the Seattle area, and has not grown much in recent years. Other efforts to share rides – using the internet to connect willing drivers and people who want a ride – have fallen foul of regulations designed to protect licensed common carriers (buses and taxis). And of course those who make a living from this business are keen to intervene to stop voluntary “free” programs if they can. At the many freeway entrances there are signs stating that hitchhiking is illegal, though it still happens. I would like to know more but so far have not found anything more than this story. Did this program get some kind of official sanction or was the lack of official attention due simply to the absence of local vested interest? Does the sense of community on Pender help? In a place where everyone knows everybody else there is a great deal less worry about being picked up by a serial killer – or picking up a mugger or car jacker. Most cars spend most of the time parked. The average occupancy of the cars that are moving is 1.3 per vehicle: that’s a lot of empty seats. Ideas that get better utilisation out of what we have (road space and vehicles) seem worthy of consideration. And at higher occupancies the energy demand of a shared car is comparable (volume of CO2 per passenger kilometre) to transit. On Saturday, The Green Party of BC held its Annual General Meeting in Victoria. You can read a short bit about that in the Tyee’s political blog, but as far as a Google news search shows there is no other coverage. Of course the party put out a Press Release, but as usual it is widely ignored. The Globe and Mail decided to actually print something about the Green Party! I was making notes mostly about stuff that might be useful next time. I had decided early on to travel light, so no laptop accompanied me and I spent no time wondering if I could find free wifi. That in itself was a liberating experience. This is not a report – more reflection on the impressions I took away with me – perhaps not quite the “insights” someone asked me to post. More than 100 people turned out – which for a party our size is pretty good. This was the first election where we had a “full slate” of candidates – and about half of them came. Considering that nearly everything a Green Party candidate does has to be on their own dime this in itself is remarkable. And being Green also meant that many car pooled and were billeted on local members – as I was. This gave us much of the weekend to talk to other candidates and compare experiences. One immediate thought struck me when I encountered the candidate for the North Coast was that some people make a very favourable first impression – which works exceptionally well when door knocking. 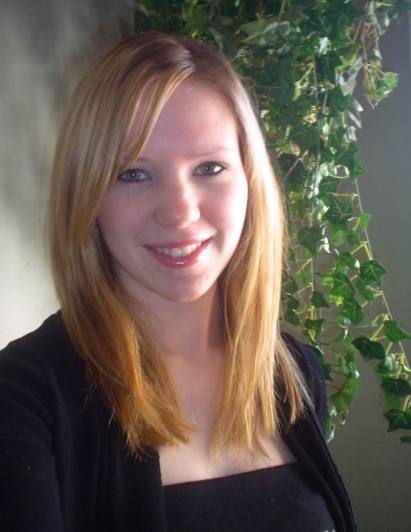 And before you castigate me for being superficial you need to know that Lisa Girbav was also the youngest candidate (at 19), from a First Nation, highly intelligent and articulate (and she took this picture of herself). I did experience a distinct chill when I went around knocking on doors – and I think that some of that can be fairly attributed to me being an old white guy. And at one stage in the AGM I was at a circular table which was somehow peopled almost exclusively by old white guys – most with English accents. The NDP has a policy of only selecting new candidates who are women or visible ethnic minorities: I think that probably did not help them at all in Richmond (none were Chinese). Stronger candidates however would not likely be willing to run in Liberal safe seats. Unfortunately not all Greens are, necessarily, nice people all the time. Especially when they are looking for reasons why the Green vote share went down. Perhaps the worst example – and this was a faux pas committed by a radio journalist as well as one of those at that table – was to single out Jane’s fashion choice and hair style. Yes, I know that the media did that to Gordon Campbell when he wore a plaid shirt once, but that is still no excuse. The greeting for the meeting came from Tom Bradfield (who ran in North Saanich and who also calls himself an Indian) who reminded people of the need to be respectful. Once again a table full of old white guys arguing tactics – and having to “self moderate” – quickly forgot that. And there was plenty of blame to throw around. Part of the reason of course is that we keep comparing ourselves to other political parties and trying to draw lessons from the experience of other parties that started small and had to break through in a system designed to protect established parties. This made me feel distinctly uncomfortable. Trevor Loke – another of our younger candidates who ran in Surrey – gave a presentation based on his extensive experience with the Progressive Conservatives, BC Liberals and Conservatives. He cited the Reform Party as a good example. (And, by the way he polled less than I did) I did not want to join the Conservative Party – but of course Greens draw on experience from across the spectrum. The dimensions of which have now been recognised to be more than two. The word “progressive”gets thrown around more than “left” these days, but that is just code. Equally while the Green Party was born from the environmental movement – and thinks it needs to paint itself as being “more than just than the environment” (especially when that issue seems not to be top of minds with people who vote) – that means the mode of thinking is rather different to other parties. For ease of reference in the campaign I said “both capitalism and socialism have demonstrably failed”. But neither of the two big parties are especially ideological. Both like to present themselves as pragmatic. The unions have a strong influence on the NDP, and their emphasis is very much on jobs and economic growth. On the other hand Carol James tried hard (even if unconvincingly) to project herself as friendly to small business. The well spring of the BC Liberals is both neoconservative and anti-union. But both parties seem to want to inherit the mantle of W C Bennett, while at the same time both are trying hard to recruit green supporters. The NDP likes to think it has some right of ownership of green voters – but as many said on Saturday, that is a grave error. Most Green activists would not be involved in party politics at all if there was not a Green Party. What I kept trying to drag the conversation back to was how we reach out to the majority – who do not vote at all! I do not think we increase our appeal if we simply emulate the other parties. At least some abstention arises from distaste of the current political process. This is especially true in BC where politics is a highly partisan blood sport. The NDP campaign was also relentlessly negative, something the Greens were at pains to avoid. BUT the Liberal record on the environment is shockingly bad and was largely ignored – because most of the attention was focussed on the carbon tax and the fact that run of the river power is a private sector “gold rush”. Elections are no place for policy arguments (I heard that from Trevor Loke too) but it was not the “green” value of either of these initiatives which was front and centre in the public debate (unlike the online wrangling on list serves and blogs). It is also apparent that one negative campaign was hugely successful – the one that defeated electoral reform. This was the subject of the after dinner speaker, Dennis Pilon, who did a good job of making what is at best an esoteric and rather dry subject quite entertaining. He does not speak in academic but rather demotic language “How’s that first past the post workin’ for ya?” Question period – after he had been thanked by the leader but given nothing – went on for quite a while, with a long line up for the microphone. Debating this issue was clearly nearer the hearts of those attending than socializing – for after he stopped answering questions the crowd melted away. A small gang hung around in the car park but they seemed to be simply discussing where to go onto next. I missed a section of the agenda in the afternoon as I also had to attend the AGM of the innovativecommunities.org foundation. There was an unexpected cross pollination from that too. At the Green Party meeting the chairs were in rows facing front for the morning but needed to be rearranged around tables for lunch. That happened quickly and easily – but with no one giving any orders or directions. Everyone knew what had to be done and just got on with it. That is what is called “chaordic” organization – which is something we at ICO are very keen on. Now if the Green Party could only think of a way to engage its members and supporters in a self organizing process to a simple, clear objective, perhaps the abilities demonstrated at the AGM might be more effectively utilized. I happen to think that the discussion process – facilitated or not – did not do very much to galvanize us into activity. I think most people are now looking forward to a break from politics, and despite the rhetoric I do not expect very much to happen now that will propel us into the next election. And as I think is probably clear from the foregoing, I really hope that we do not seek to emulate the other parties but rather celebrate and capitalize upon our difference from them. A carbon tax would have been more effective, but no-one likes taxes. Of course what also no-one likes is being told that their lifestyle needs to change. There is still a significant part of America that is convinced that humans are having no effect on climate. Or prefer not to believe it, as that would mean having to do something about it. It has not yet been passed of course, and the process it has to go through could make it even weaker and enlarge the already significant loop holes. All of this matters – a lot. Canada cannot of course say anything since our track record is about as bad as theirs. Although we have a government that sometimes likes to pretend it cares, the programs we have are ineffective, and the oil sands ensure that our emissions of ghg are steadily increasing. 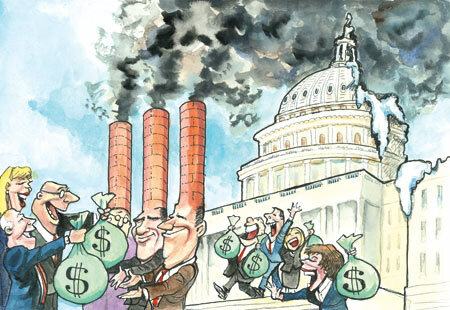 We are going to spend some money on research carbon capture and sequestration – which at least acknowledges that such a strategy is not yet technically feasible. There will be a show down in Copenhagen in December – which is one of the reasons there is a push to get the bill through. Though I think that a cap and trade systems that achieves almost nothing is no better than a carbon tax which is also too low to have any impact. I doubt other countries will be impressed by either Mr Obama’s or Mr Campbell’s efforts, though I think we can give the President some credit for trying. It is not as if he has the same parliamentary ability to get legislation past as leaders in Canada at either provincial or federal levels. I will be very surprised indeed if anything really useful comes out of Copenhagen – other than the possibility that a few politicians may have a look around the city and maybe learn something about urbanity in a northern climate.